Deer are beautiful and enjoyable to look at, but can destroy a yard and garden quickly. 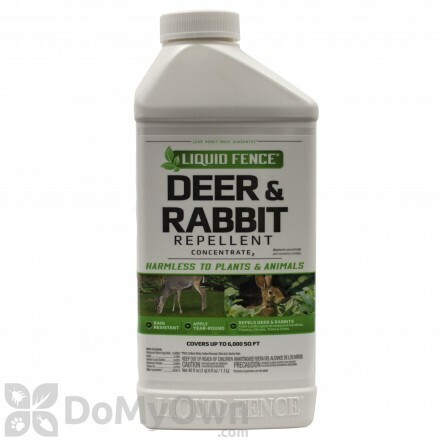 It can be difficult to keep deer out of your property, but our selection of professional grade deer repellent products will help to safely deter deer and keep your plants healthy and intact. Motion-activated animal deterrent uses a startling but harmless burst of water to deter pests. 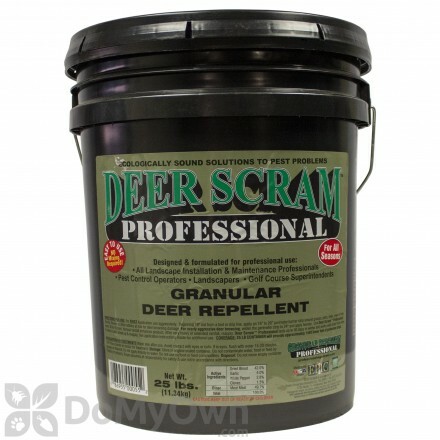 A urine-impregnated repellent granules that will help keep deer away from home lawn and garden. A Trophy Deer Weight Estimation Tape which estimates live weight, dressed weight and amount of edible meat of your deer kill, as well as measure antler spread. 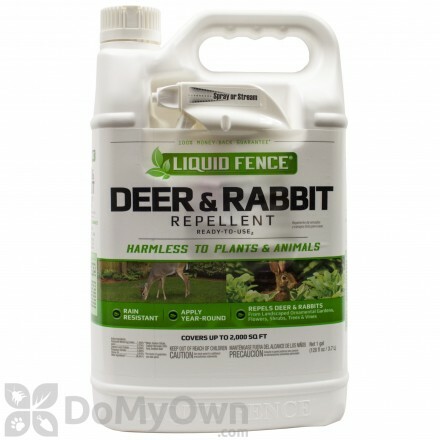 An animal repellent for deer, moose, and elk from incurring damage on home and garden properties. 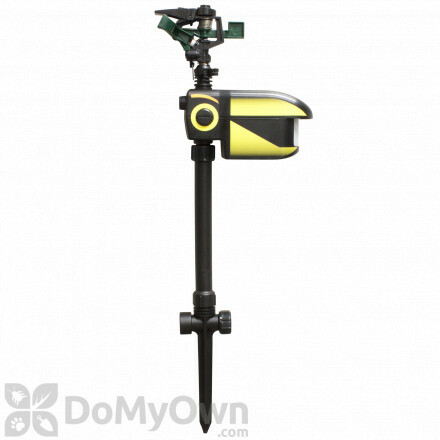 A 40-gallon digital directional deer feeder. There are several methods of keeping deer out of your yard or garden, including planting deer resistant plants, perimeter or individual fencing, homemade deer repellents and commercial repellent products. 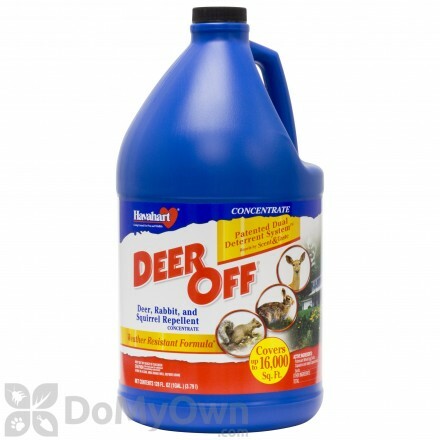 Using these together, and switching up your tactics, will keep deer off your garden plants. Deer Resistant Plants: Plants with a strong scent, thick or leathery leaves, and fuzzy, bristly textures can keep deer away. Deer feeding preferences vary between region and season, so there is no guarantee that these plants may repel your neighborhood deer. Some plants that have been known to be disliked by deer are: tobacco, purple mountain grass, butterfly bush, tree peony, spruce, ribbon grass, fountain grass, chives, wormwood, lavender, bleeding heart, daffodil, mint, sage, catnip, lambs ear, and foxglove. Family Dog: Letting your dog run free in your yard can keep deer away. A chained dog, however, will not affect the deer since the whole yard is not affected. Perimeter Fencing: Fencing deer out really is the best defense against these herbivores. Completely surrounding your yard with plastic mesh, wood, chain link, or wire can make a strong barrier. Nondurable fencing options, like using plastic mesh from home and garden stores with wooden or metal stakes – different than deer fencing and netting but extremely similar – is less noticeable than wooden or chain link fences and is fairly inexpensive and easy to work with. The fence needs to be at least eight feet high and must be hung with white cloth four feet up for every 12 feet of fence to alert the deer of the fence. It may only last 10-15 years but is easily replaceable. Durable fencing is the best long-term option. Deer will not usually jump over something they can’t see the other side of, so a solid fence only needs to be five feet tall. Otherwise, eight feet is needed. A slanted fence is also a good option as deer have a hard time jumping high and wide. Electric fences are a viable option, but are expensive and require much upkeep and are prone to shortages. Individual Fencing: Putting black plastic mesh or netting around young trees or plants can also be a good option without fencing in your whole yard. You may also consider trunk wraps to guard against “buck rubs,” when male deer aggressively rub their antlers on trees to wear away the velvet. Homemade Repellents: Deer have acute senses of smell, so many home remedies with strong scents or flavors are good at keeping deer away. Hanging a deodorant bar soap (such as dial soap) along the perimeter of your garden, placing the bars on stakes, or mixing 50 parts water and one part soap and spraying plants can be effective repellents. Homemade pepper sprays can be made: 4-5 tablespoons cayenne pepper or 2 tablespoons hot sauce in 2 gallons of water with one tablespoon vegetable oil can be sprayed on plants and will need to be reapplied often. Hanging balls of human hair on the perimeter can also repel deer. Some people use low-wattage flashing lights, like Christmas lights, to keep deer away (they are frightened of the shadows), but deer quickly learn that the lights are not harmful. 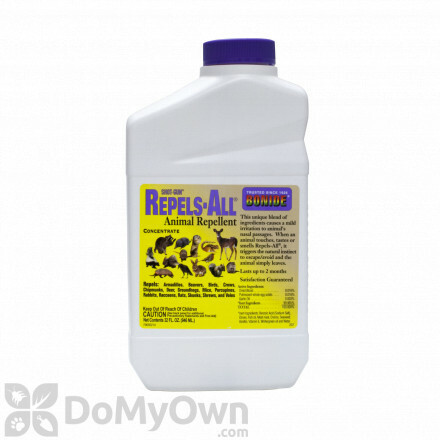 Commercial Products: Many commercial products available use natural ingredients to repel deer, so chemicals do not have to be used in your garden. Liquid repellents using a combination of taste and scent components work to keep deer away with bad scents (putrescent egg and garlic) and bad taste (capsaicin from hot peppers) that are sprayed directly on plants. Liquid fences work to make a barrier of scent to keep deer out. Scent capsules create a scent barrier as well, but are longer lasting than liquid fences and contain predator urine compounds, like coyote urine, which is very effective at keeping deer out. Deer like to feed on the edge of open areas near cover, like in a meadow near a forest, or even dense shrubs near a park or a back yard – anywhere there is abundant edges for feeding. They are most active in the early morning and evening. They spend most of their day bedded in shelters of dense shrubs, tall grass meadows, old growth forests or low hanging trees. They eat about seven pounds of food and two to four quarts of water a day. They like to move from plant to plant when they feed, and like to nibble on about 500 varieties of plants. Most susceptible to deer feeding damage are lush gardens and new plant growth. In the spring they prefer wheat, alfalfa, clover, and peas. In the summer they add fruit to their diets along with corn and beans. In the fall, acorns are a huge food source, and in winter they tend to eat anything they can find, like dead leaves, twigs, and bark. However, they are known to commonly nibble on strawberries, tulips, apple trees, aspen, most roses, and wild raspberries. They will revolve around areas with abundant food, so it is likely that if you see some in your backyard, they will be back for more.